They Will Look Great On That New Highlander! 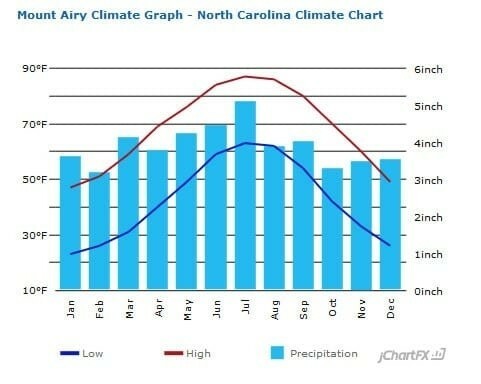 The topography in Mount Airy, NC is roughed and the roads are curvy. And when those roads become slick with rain or covered in snow you need a dependable set of tires. If you buy now you will be just in time for the big rain months in the area. Fortunately, this is the BIG TIRE SALE month for both Mount Airy Toyota and Mount Airy Chrysler Dodge Jeep Ram. This spring it is time to clean, both for you and Mount Airy Toyota! Mount Airy Toyota is doing some spring cleaning through deals and special all through the month of April. Toyota tires will be the prime focus for service items and vehicle like the Toyota Highlander will be promoted with deals. There are some really great looking tires to choose from. And they are priced to meet everyone’s price point. 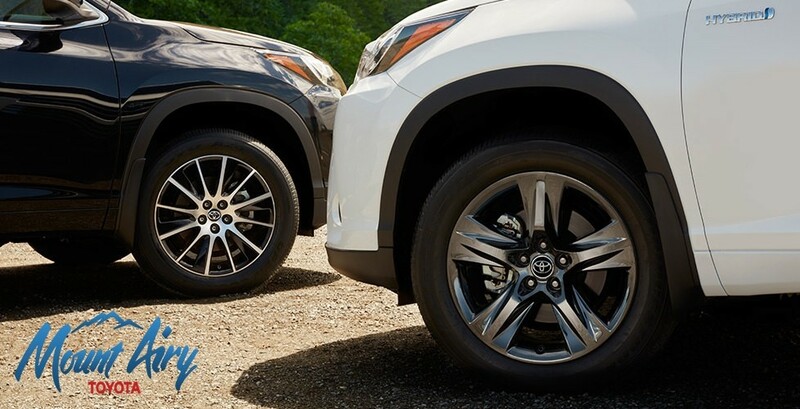 Just come to the Toyota Dealership in Mount Airy, North Carolina and a factory-trained Certified Toyota Technician will install some new wheels for you! New wheels play such a big role in a vehicle. From the safety that wheels with standard traction hold to the style and feel of the ride that has new wheels. The Toyota Highlander The 2017 Toyota Highlander is the vehicle of the month for Mount Airy Toyota! 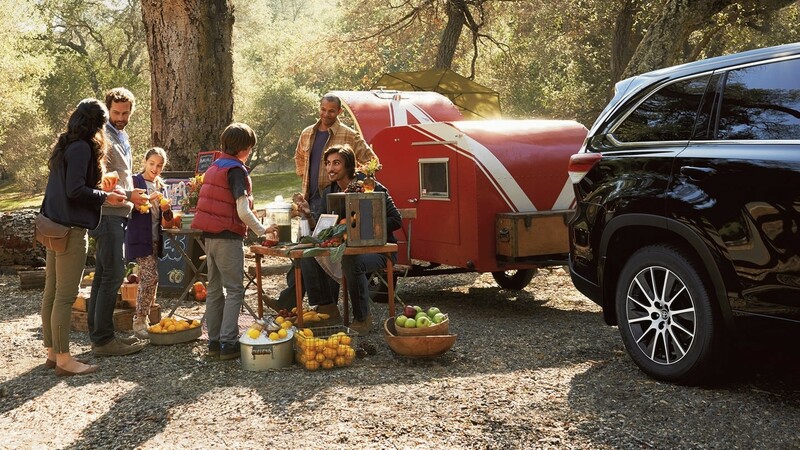 It’s the perfect SUV for spring cookouts and days at the lake! The 2017 Highland has an exterior design that is eye-catching! Unique Front Grille The new front side of the vehicle gives the Highlander a complete new look. 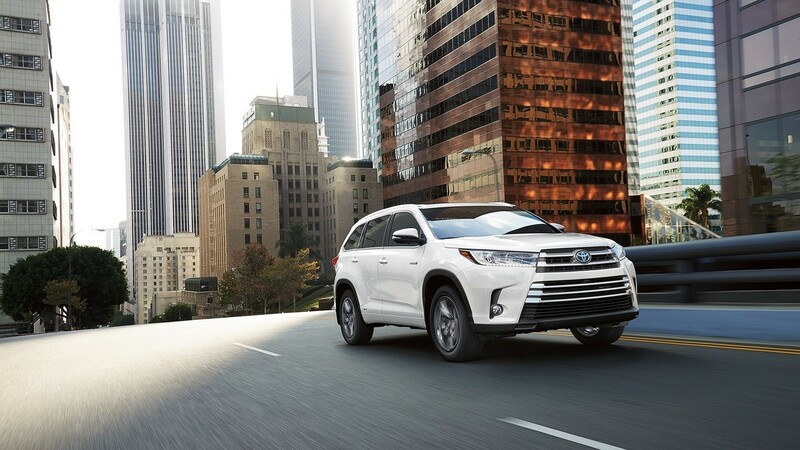 The 2017 upgraded Highlander features the all new and refreshed front grille. The unique front grille is tailored to each grate to give a bold and personal design. Redeveloped Lights In the 2017 redesigned vehicle the headlights and taillights have had a makeover. The new design has Daytime Running Lights to give the design an even bolder appearance. The lights have an exciting dark-black-accent around the headlights or smoked-chrome headlights. The Highlander has a better rear visibility with the all-new LED taillights. Alloy Wheels The alloy wheel on the 2017 Highlander show off the vehicles look. The wheels are a bold 19-inch alloy wheel. Paired with quality tires this SUV makes for an eye-appealing ride that is just as nice to drive. USB ports are a must in a family vehicle from kids plugging in their devices to the parents charging phones or plugging in navigation systems. The Highlander is ready for it all with a total of five USB ports. 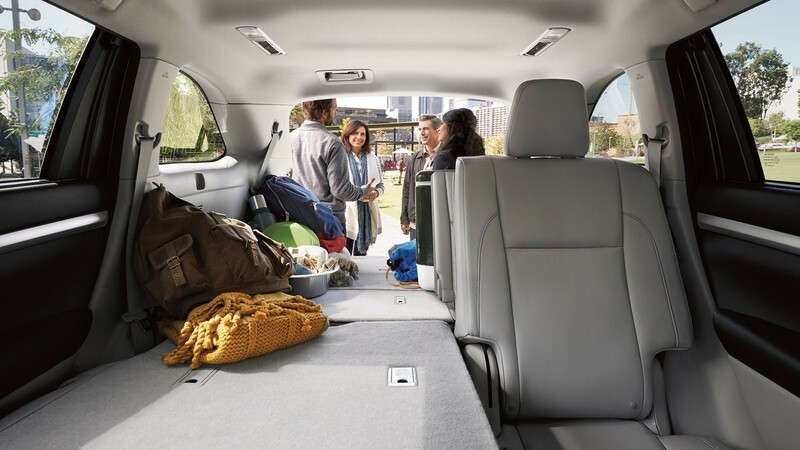 This vehicle is equipped with a roomy interior for up to eight people or a larger cargo space to pack for vacations. The vehicle even has reclining third-row seats to keep your passengers happy. The vehicle is ready to accommodate for people, storage, or a mix of both with the ability to fold down seats in a 60/40 split. The 3.5- liter V6 engine is all-new and helps give the Highland a new vibe of power and efficiency. The engine uses a direct shift eight-speed Automatic Transmission. 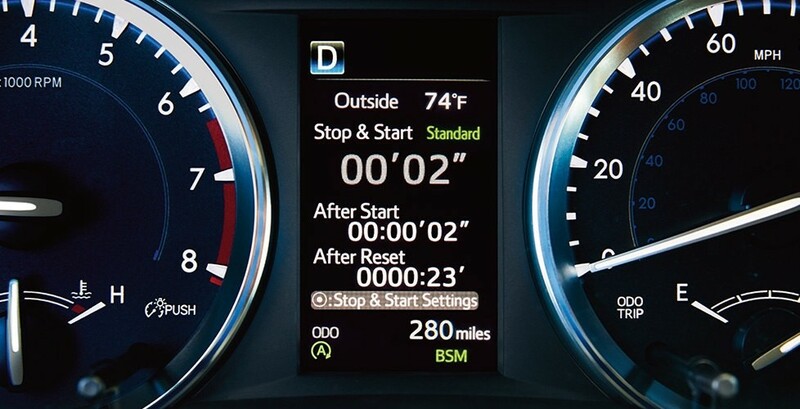 This works well for quick acceleration and gives the vehicle great gas mileage when traveling on the highway. The vehicle gets about twenty-seven miles per gallon on the highway. These features are essential if your vehicle will be transporting a crowd. Come to Mount Airy Toyota to check out the April tire specials! 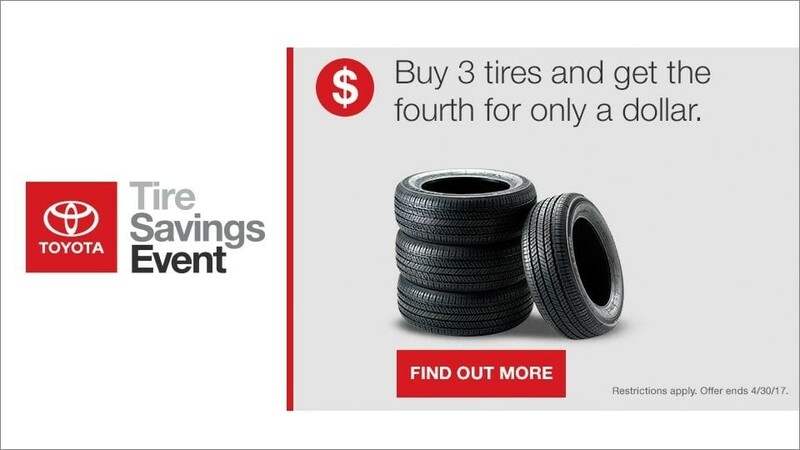 Right now, you can buy three tires and get the fourth tire for only a single dollar! Also, take a test drive in a 2017 Toyota Highlander! For more information call (336) 786-2118.